Originally this post was going to go up a few weeks ago but as Stanley has been poorly we’ve only got round to writing it up now! On the 12th December we had an appointment with the genetics clinic at the hospital. We were referred by Stanley’s CF team to discuss about cystic fibrosis and any future pregnancies should we so wish.. I don’t think either of us really knew what to expect from the appointment so we both went in with open minds wanting to find out as much information as we could. Once there we were sat down and we spoke about what we knew about CF, and then doctor then explained exactly how everything works what causes CF and what the chances would be should we have another child of them also having cystic fibrosis. Having more children was always part of our plans, we had nothing set in stone neither of our boys were planned but we wouldn’t have changed a thing it has always been a case of we will just see what happens in the future, obviously CF has now blown that out of the water and things would most defiantly have to be planned to an extent. Speaking from a personal point of view I have tried to read up on other parents views that are in the same position as us and the opinion is so divided!, it’s such a personal decision and I think this explains why people are so passionate about speaking about it once they have made the minds up. 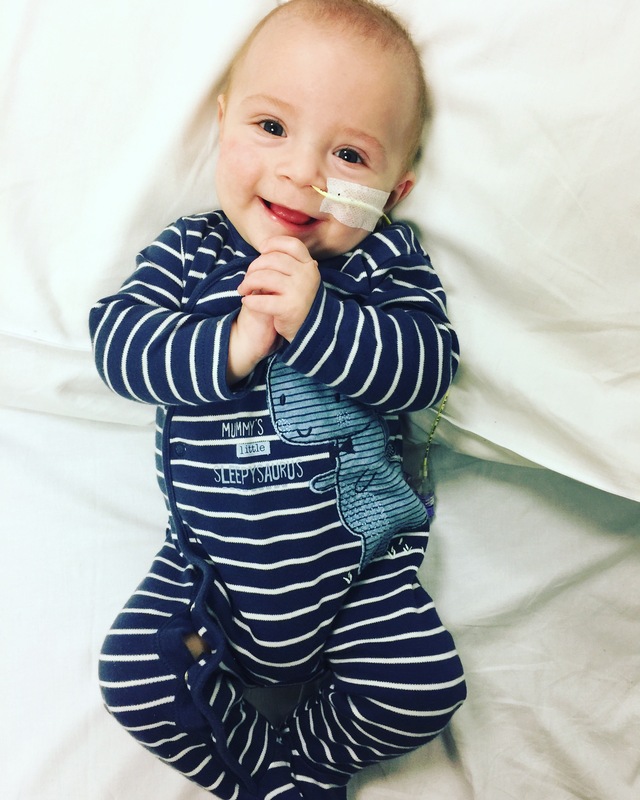 Whatever the decision they have came to so much thought has gone into it, speaking with Stanley’s team when he was first diagnosed we were told of the few options that are there for parents of a child with CF. This basically comes down to whether you are willing to take the risk, try for a baby naturally with there being a 25 % or 1 in 4 chance of the baby being born with CF. A lot of people think basically if you had four children one would be born with it this is not the case atal it’s literally a complete lottery you could both be carriers and never have a child with it or you could have five children and them all have it it’s complete chance. I do think a lot of focus is put on the 25% because what about the 75% chance they won’t? I know for a lot of people the 75 percent chance is worth it.. I suppose it depends on your outlook. The options also with trying naturally are that between 8-15 weeks into the pregnancy we could have testing in the forms of either an amniocentesis where they take some amniotic fluid and test for the gene or a cvs where they take a sample from the placenta and do the same testing in order to determine whether your child is a carrier or not or has cystic fibrosis. in cases like this testing is usually done in order for the parents to then decide whether they want to continue with the pregnancy its only recommended for this reason as it carries risks but we have seen from researching that a lot of parents have this test done purely to find out so that they can prepare themselves and we do find this understandable, however there are some that should the test come back positive that they then decide to not go ahead with the pregnancy this is a completely personal decision however I think me and jack have established that it wouldn’t be the right decision for us, it’s just something I know we couldn’t do especially when we already have a child with CF we know what it involves and we know should we have to we would cope again, i suppose in a way it feels like it would be playing god abit – I look at Stanley and I just can’t imagine someone not wanting him. But this isn’t to say that that decision wouldn’t be the right one for someone else and it’s no one else’s place to judge. Another option would be to have a form of ivf called PGD. This is a form of a genetic selection in which they harvest eggs and then ones fertilised they test for which are carriers of the CF gene, they then use the embryos that do not have the gene in order the ensure that the child will not be born with cystic fibrosis, a lot of people would say this is such an easy decision to make surely if you can go ahead with something that would ensure you child isn’t born with the condition then why wouldn’t you? But along with everything else with CF it’s just not that simple, one of the biggest arguments with this is when does life start? Are you happy for the embryos that do have the CF gene destroyed and to then just keep the “good ones”.. it’s a question of what you think it’s morally right or wrong and that goes for every option. The other side to it is take out the CF gene what’s to say that once that is done the child won’t be born with something else, problems with organs, ADHD,diabetes, cancers the list goes on, this just goes to show with Alfie he doesn’t have CF but he is 6 years old he’s had a feeding tube for over five years, 19 operations to date, countless hospital admissions at one point he was under 14 different teams of health professionals and even now we still don’t know the cause fully, there are so many conditions babies can be born with and even develop later in in life, yes the risk might not be so big but there all possibilities, the truth is none of us know what the future holds would it stop people having children? of course not. 1. part of us thinks it’s great that you could ensure a child doesn’t have CF so they wouldn’t have to go through anything that it can involve. 2. the other part thinks £8000 can we really justify £8000 minimum when we have two beautiful children already? 3. thirdly forgetting money just emotionally could we go through that whole process put all of that emotion into having a baby and have a negative result at the end of it? 4. And lastly and I think most importantly, putting it bluntly – how would we tell Stanley when he’s older that we chose to have another child that wasn’t like him? .. because we just wouldn’t change him one bit CF or not. Our last option and this is the one that we both probably find the hardest – no more children. Call it greedy we have two children already but the boys have made me realise that they have given me everything I have ever wanted just our own little family and to be a mum, to have two little humans that love you unconditionally, that bring you laughter on a daily basis, that fill my heart with so much love I could burst. They are mine and jacks reason for everything and more. Until your a parent you can’t explain how it’s possible to love someone so much and why would we not want to add to that? to see all of our children growing up together. CF takes so much of your life it gets a grip on everything and it doesn’t let go ever, I hate this condition with every bone in my body, I hate what it does and will do to my little boy, I hate that we will now have to think about things that you would never have to think about otherwise, I hate that we will have to do things so differently to the way we planned. But it goes to show things don’t always go to plan, and Stanley far outweighs any hate I have for the condition that is simply just cruel. This is the only time where I resent people that simply don’t care, the people that have children without thinking, people that don’t care about the children that they have. 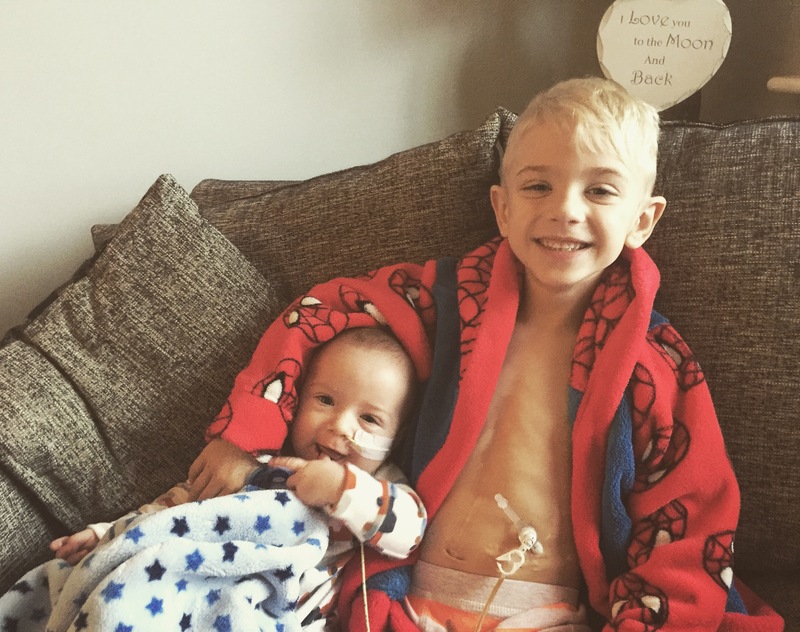 The people that take things for granted- And that’s when it makes us realise that in all honesty there are so many worse things to be born with than cystic fibrosis. Our boys will forever know every day just how loved they are. They both have a roof over the heads, food in the stomaches and clothes on there back, they have memories made and more to come and a family that love them beyond words and how lucky does that make them.. and us?. The truth is some people aren’t even born with a fraction of that, and so for now our thinking would be whatever’s meant to be will be, your given in life what you can cope with and whatever your dealt you deal with even if some days it’s hard to feel like that,if we were to have another child and decided on the natural route if they had CF would it change our decision? Absolutely not, they would be loved unconditionally just as Alfie and Stanley are now. 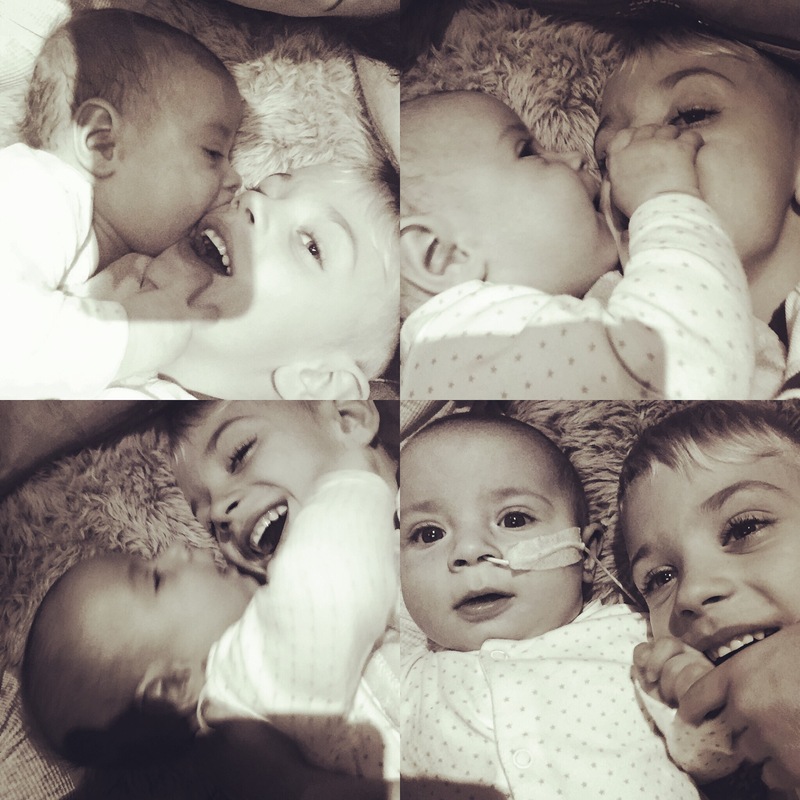 – we know love won’t cure cystic fibrosis but it’s a good place to start..
Again we know a lot of people would question whether it’s morally right, knowing you have a gene that can cause a life threatening condition why would you intentionally bring another child into that surely it’s not fair? and is all we can say in answer to that would be that it’s an intensely personal decision, what sits right with one person won’t with another. and what feels right now maybe won’t in a few years time, it’s defiantly a decision that takes time and can’t be made lightly. We know what we could possibly have to face one day, it’s not something we contemplate to often because it all honesty it just breaks our hearts. I know both of us when thinking about the future can find it upsetting, we both find it hard to talk about, to be honest it’s even hard to write a blog about it – we know we will have tough times ahead but you could give us all of that ten times over and Stanley would only have to give us one smile and it just doesn’t matter – nothing matters because for now we enjoy every minute with him even on the bad days and god forbid we didn’t get as long with him as hoped then just how amazing will it have been to have been blessed with him at all? And the truth is we just can’t think about the possibility ever. we will never loose hope in all honesty it’s all we do have, but we will fight forever to ensure Stanley has a life unlimited, until we can find something to halt CF in its tracks or cure it completely. I genuinely believe that this will go from being a life limiting condition to a condition people will be able to live with. After Stanley’s diagnosis Me and jack said we would carry on as normal and we do but the truth is our normal is obviously very different. We would never lie to anyone and say that cystic fibrosis is easy it’s not it’s hard. If we have another child would it be any easier to go into a room second time round and be told another child had CF? Not one bit. We would never sugar coat it the boys always have everything they need but some days waking up (after very little sleep!) you can sit there and think ..how can we honestly keep doing this every day, how is a possible to spend hours each day giving so much of yourselves, spending so much time and effort just to get done what needs to be done? but we get up and do it because we have to – there is no choice, we have had so many kind comments from people that we know and ones we have never met before – I know me and jack find it hard when people comment on us being amazing and inspirational etc because although it’s lovely we just don’t see it that way, we like to think any parent would do the same, you do what you have to for your children – if we don’t fight for Stanley why would he ever choose to stand up and fight himself? CF might be hard but it will not take over our life’s completely we will have to work around it of course but we refuse to let it take over that doesn’t mean to say isn’t utterly devastating I mean how do you ever contemplate being told your child has a condition that could take there life? There are just no words. We have spoken to a few people now because the question has cropped up a few times “do you think you will have any more children?” and in all honesty you know what someone is thinking when you talk to a person about this topic, we won’t lie it is abit disheartening when you can see people think that your possibly in the wrong for wanting more children, that the fact that you can contemplate it means somehow you are downplaying the seriousness of CF – please don’t be mistaken we known first hand exactly what cystic fibrosis means. I know that what ever decision we come to won’t be any easy one and it’s something we would have to be sure on, whatever decision we came to would come with some difficulty and we would probably feel some guilt at whatever decision we came to. But what I do know is that it’s got to be right for US. people will always have there opinions but then again people have opinions on everything. But what needs to be remembered is that there opinions don’t raise our children – we do. Through Daddy’s Eyes: we’ll tak a cup o’kindness yet, for auld lang syne. What amazing parents, I can’t imagine how hard it must be, sounds like your doing all you can for your boys. This is interesting stuff to send to my best friend’s daughter who is getting married soon. Having children is something they are talking about.